If your future includes a move to Beaumont, check out Meathead Movers! Our professionally trained student-athlete movers, moving concierge, and princess packers are prepared to get you safely moved into your new Beaumont home. When you make your move to Beaumont, be sure to contact Meathead Movers. No matter what type of moving service you need, our student-athlete movers are ready to handle all your moving needs. Looking for a new home? Our Beaumont movers can help. The city of Beaumont, located in the San Gorgonio pass, is projected to be one of the country’s fastest-growing cities over the coming decades, while still maintaining a small-town atmosphere. Its master-planned communities are surrounded by tranquil parks: about a third of its total land area has been permanently set aside for open space, so moving to Beaumont means living in a place where you can still enjoy the outdoors. Beaumont is the home of many great attractions for families as well. Every summer, the four-day Beaumont Cherry Festival celebrates the area’s rich agricultural heritage with rides, games, music, food, and other entertainment. Summers also bring a series of concerts in the park where families can relax and listen to the music which is often provided by big-name entertainers. With plenty of shopping and recreation available and lots of job opportunities, Beaumont is the perfect place to raise a family. Choosing a moving company can be hard, especially when it comes to trusting a company to transport all your most valuable possessions. Meathead Movers offers unparalleled service that make us stand out from the crowd. No other moving company in California can match the services we provide. We hire student athletes as movers, so you can be sure that they’ll be strong and fast. In fact, when they aren’t carrying anything, they jog—one of the key differences between us and our competitors. We know that moving can be tough and stressful, so we make it our top priority to make it as fast and efficient is possible. Our movers must also meet the highest ethical standards and undergo serious training so that you know your belongings are in safe hands. 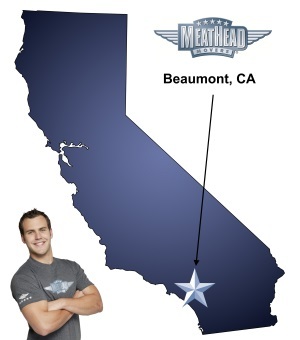 When you’re looking for Beaumont movers, there’s no better choice than Meathead. Whether you need help with a local, long-distance, or commercial move, you’ll have the same crew of trusted and tested movers on both ends of the trip. We also provide reliable packing, storage, on-site relocations, and our distinctive moving concierge service, which connects you with local service providers. We offer affordable prices with no hidden charges or other shady business practices that is so common with other moving companies. We’re so confident that nobody can match the quality of our services, that we have a 100% satisfaction guarantee. So contact us today for a free no-obligation moving quote and to learn how we can help you on your next move! Moving to Beaumont? Here are some helpful resources. I would recommend meathead movers for a local move, with the warning you are getting college guys. The good thing about college guys is they move fast, have lots of energy and good attitudes. The negative is their lack of experience. Watching them try and put beds together was a little painful. Part of that was that none of the guys had taken the beds apart and some of the hardware disappeared in the move. My biggest disappointment was with Fernando. I called him once and he picked up. Every other time I tried to call him it was at least a day before he got back to me. Twice he never returned my call. It felt like pulling teeth to get a real idea of the final price. Part of my frustration is also that I wanted a quote for the whole move. His packing quote missed by about 10 man hours. I had to talk him into bringing a third truck. With other companies I received a "not to exceed" price. The flat rate with meathead is really a "not to go below price". The guys that loaded and unloaded my stuff were great. I enjoyed getting to know them a bit and they worked hard. They talked to my kids and my kids thought they were great. The estimate on packing time was not even close. The estimator assures me in two different occasions that the house would be packed within four hours. The packers were here 5 hours and didn’t even complete the kitchen. The packers had great attitudes and were really nice and helpful. But I could not afford to pay double the estimated cost of packing. So I ended up doing a majority of the packing myself. The other company I should have chosen gave me a “not to exceed” price. I now realize your price is a “not to go below” price. I bought into the hype of the service promised. I hope when the trucks are loaded today I am not disappointed. I now have a fear in my gut I’m going to have to rent a uhaul to finish what the guys don’t. The people I talked with were very accommodating and helpful. They seemed to anticipate my needs and did what they could to help me stay on budget. The professionalism of JULIAN and Logan and his crew.